Basements, if not properly designed, can account for up to 20% of total heat losses from a home. The conventional method of basement construction is to make a concrete wall and insulate it from the inside to save on heating bills. However, concrete has also proven to have a high carbon footprint, which makes these basements non-ecofriendly! ICF is short for Insulated Concrete Form, and can be regarded as one of the most sustainable methods of wall construction available today. 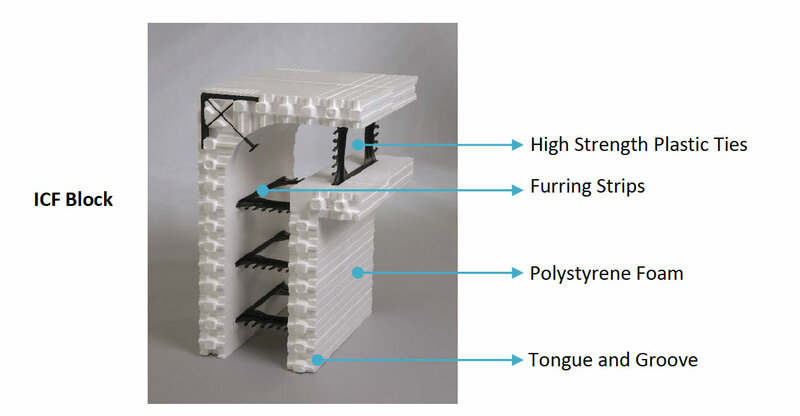 ICF is made up of expanded polystyrene foam blocks that are held together by high strength recycled plastic ties. Compared to conventional construction that needs removal of formwork once the concrete has set, ICF formwork remains in place and forms part of the final structure, thus saving on the cost of removing formwork and additional insulation. HOT2000 and ATHENA tools were used to help in the evaluation of the Economic and Environmental scores. These software tools are widely used across Canada for residential buildings to assess energy simulations and environmental impacts respectively. The construction cost of the Home of Tomorrow with ICF has increased by 0.17%. However, simulations were evident that the annual operating energy cost savings are approximately 5% when compared to the conventional concrete use. Use of ICF walls instead of conventional walls results in annual savings on energy bills of approximately $120 at an additional investment of only $770. Hence, ICF is a good option for house foundation wall with a low payback period of around 6.6 years. Eco-efficiency index values showed that ICF walls filled with recycled concrete have not only a much better environmental score, but are also more economical than conventional walls shown by values. 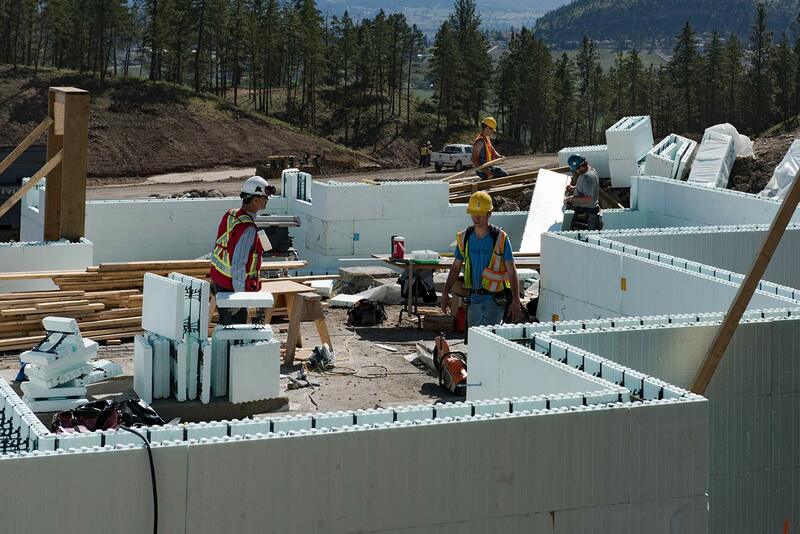 Thus, ICF walls have a higher potential for future construction practices for residential buildings in Kelowna. Stay posted for more real-life data results in the future. In next month’s issue we will talk about how much energy savings are possible through good Insulation systems for residential buildings!